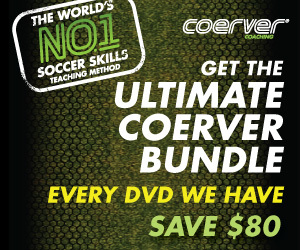 So you want to learn how to play like Manchester City's Kevin De Bruyne? 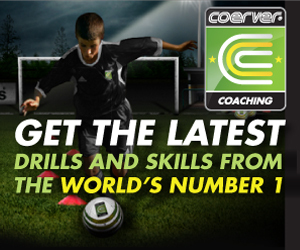 To start, you'll have to master the soccer ball and develop a exceptional first touch on the ball. But there are a few things that stand out about De Bruyne. For one, his passing ability is amazing. De Bruyne is always charging forward but still able to play give and goes and find his teammates with superb passes. But again, what stands out about De Bruyne is his passing ability, and how he can find the open man when the other team doesn't think he can...time and time again forwards like Sergio Aguero just have to make a run and De Bruyne will find him right in front of the goal mouth so all Aguero has to do is tap the ball into the back of the net. There also aren't really many soccer stars with red hair. It's just a fact. There used to be Paul Scholes, but the Manchester United midfielder has since retired. I can't think of another one off the top of my head. But there's certainly Belgian international and Manchester City midfielder Kevin De Bruyne. They even call him "the Ginger Pele" in Belgium. And he's set to break out further if he stays healthy this year as Manchester City are bound to win the EPL title. He's had a tough run at times, signing with Chelsea but didn't get enough playing time to show what he could do. He had to go out on loan to Germany to show is value and skill. Now, De Bruyne is one of the top soccer players in all of Europe. Someone who has that grace and smooth style, where he dribbles and passes the ball when you don't know which he's going to do. He's get that air of confidence that he knows defenders just can't take the ball from him and are always on the back foot. What's unique about De Bruyne is he always seems to be going forward. Going at the defence with the ball tied to his foot. That's how you play like De Bruyne. You challenge the defense by taking them on. Whether it's with a pass or on the dribble, he's always looking to go at goal. And score them too. De Bruyne is also becoming a free kick specialist. De Bruyne is in great shape and tireless in his play. He can both setup teammates with a perfect pass but also smash the ball into the net with his left foot. Here is plays a through ball to a teammate and then scores from the top of the box. Again though, what you notice about De Bruyne is how he's always looking to go forward and attack the defense. And what's interesting about De Bruyne is he had to find the right team and coach who understood his abilities and talent. It's also timing, but when Jose Mourinho was manager of Chelsea, he didn't play De Bruyne and ended up loaning him out. Some players might lose confidence if a manager doesn't believe in them, but in some ways this seemed to push De Bruyne further, perhaps drove him even more to become a better player. And then he arrived at Manchester City, where he was able to show his incredible skills and talent. “I just said I can play,” he told The Times. “I have no statistics — two games, what do you want me to do? I had a feeling I wasn’t even going to play. If you want to be a top soccer player you have to have perseverance and self-belief. If one coach says you're not good enough, that doesn' t mean you stop playing. It just means you work harder and prove them wrong. If you ask any pro soccer player, all will say that there was a time when they didn't get picked for a team or a coach didn't like their style of play. Even the best player in the world, Lionel Messi, was deemed too small to be a top level player. And it's all paid off for De Bruyne, as Manchester City has signed him for another five years. What's funny is De Bruyne seems like he should have a much more exciting first name, Kevin almost doesn't really fit, it's too boring for his ability and talent on the soccer pitch. Not sure what his nickname is at Manchester City, but he deserves a more exciting name.